Liberty European 20 in. 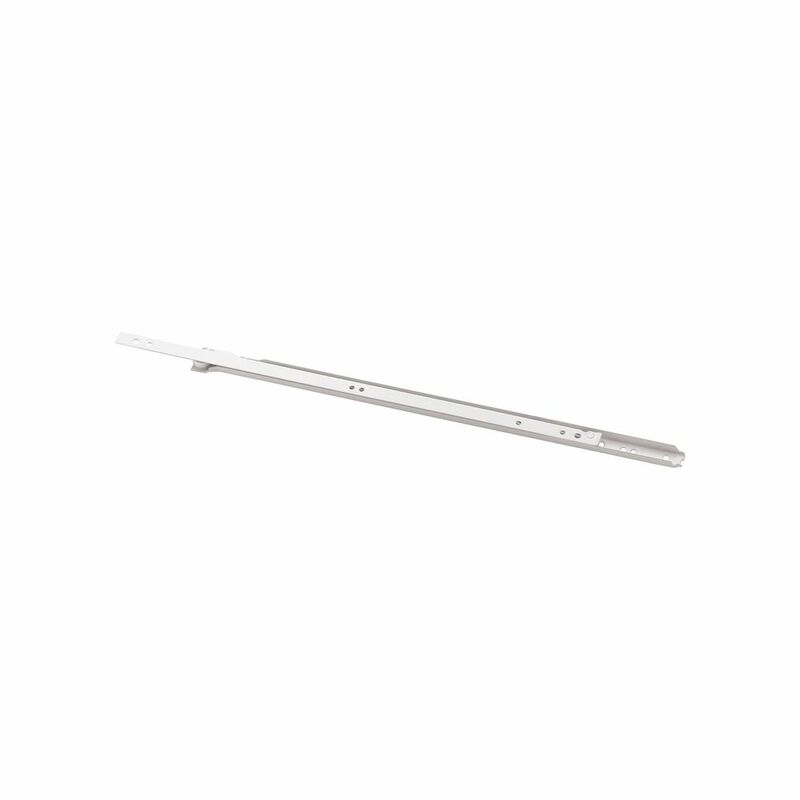 Left and Right Side Mount Drawer Slides offer a functional style and are made of steel. The slides are white and mount easily. The set comes with hardware and instructions. Liberty products provide unmatched quality with long-lasting durability that you can count on. Designed specifically for new cabinet installation, this undermount drawer slide features full extension ball bearing slide movement for smooth and silent operation. It discreetly mounts underneath the drawer so that it doesn't detract from the view of your finely crafted drawers. Liberty products provide unmatched quality with long-lasting durability that you can count on. And with Liberty's soft-close ball bearing drawer slides you can now prevent drawers from slamming shut with integrated soft-close technology. These slides are compatible with most major drawer and cabinet types and are ideal for new construction, remodeling, and replacement projects. Designed specifically for new cabinet installation. Full extension ball bearing slides fit drawer lengths of 21 inch with a 5/8 inch maximum drawer thickness. Mounts underneath to give full view of finely crafted cabinet drawers. These Liberty Face Frame Drawer Slide Kits (2-pack) offer an alternative mounting option for face frame cabinet installation. The slide kits are compatible with D806 drawer slides (not included). Fasteners are included. 20 inch Side Mount Drawer Slide Liberty European 20 in. Left and Right Side Mount Drawer Slides offer a functional style and are made of steel. The slides are white and mount easily. The set comes with hardware and instructions. 20 inch Side Mount Drawer Slide is rated 3.2 out of 5 by 5. Rated 3 out of 5 by HomeDepotCustomer from The wheel size on the rollers were too small to... The wheel size on the rollers were too small to replace the ones I had. Sadly, I had to return them. Rated 3 out of 5 by dirtroad33 from Slides work as expected and appear to be sturdy enough for low to medium weight transference. Ho... Slides work as expected and appear to be sturdy enough for low to medium weight transference. However, I really prefer slides that mount on the bottom of the drawer - much easier to align with the cabinet slide. Rated 3 out of 5 by Gdog1954 from They work OK. The only complaint I have it that the screw heads tend to stick out to far and the roller hits them as the drawer goes in or out. Besides that they work fine. Rated 2 out of 5 by smurfshoe from They work like magic but... The description is for a pack of two, this enough hardware for one drawer not two drawers; Totally misleading. Why would someone just buy a Slide for one side, it wouldnt work! By "2" they mean both sides, but other Euro Slides come with both sides and arnt advertised as 2. This is wrong. Rated 5 out of 5 by Ruth from Works well. It is so nice to have drawers instead of shelves in the pantry and under the new range top stove. They slide out nicely with this product and make things much easier to get out, use and put away again.